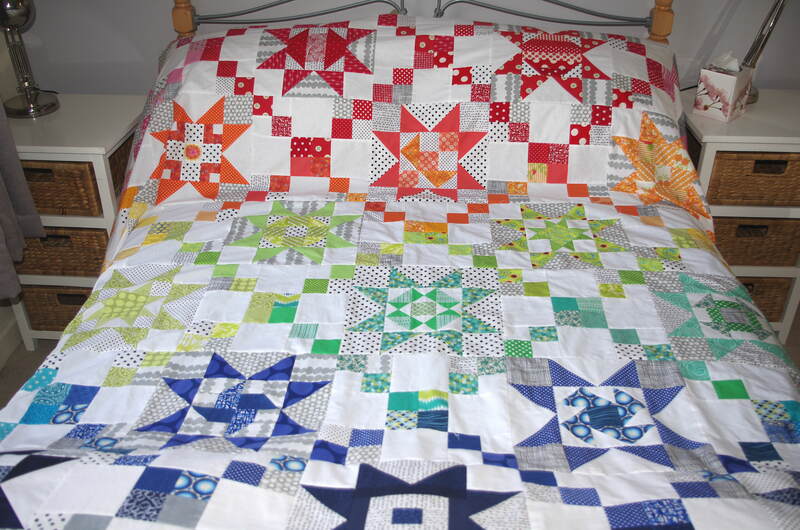 I am so pleased that the top is complete – I did think about adding a border of flying geese but after putting it on the bed in the spare room I can see it is big enough as it is. We had a lovely lunch in this vintage style, very relaxed café and the price was reasonable to – definitely recommended. Unfortunately the weather was not too good so we didn’t get to explore the village itself but what we saw was charming. Sorry for the lack of photos, but I didn’t take my camera as shopping was foremost in my mind! Now the main part of the RSC15 is finished it is time to start on the RSC16! Awesome top!! I’m currently quilting mine. So anxious to get to the binding! Thanks, can’t wait to see yours all quilted and bound! Beautiful finish! 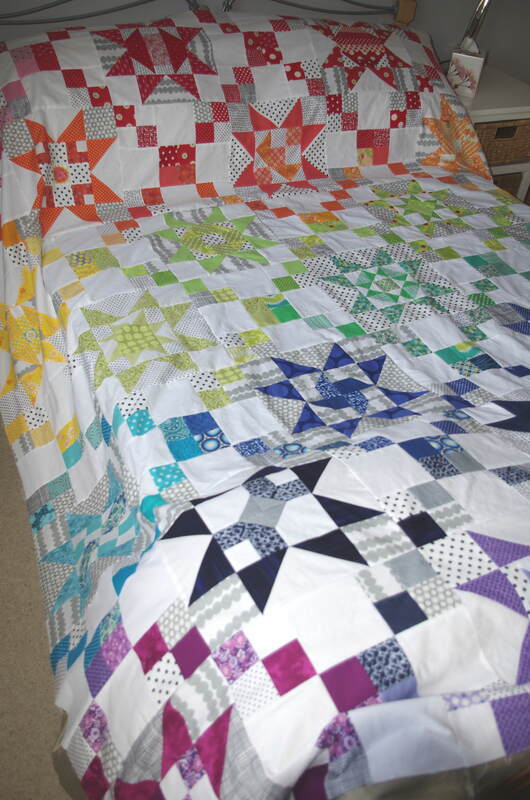 Your quilt is perfect just as it is. Can’t wait to see it all quilted and done. Fabulous! Your RSC top is incredible. Simply gorgeous! I can’t wait to see it all quilted up. Way to go! Awesome, as my children would say! I’d never heard of Wickham Market. Wish I’d been able to see pictures because my maiden name was Wickham! Looks lovely! 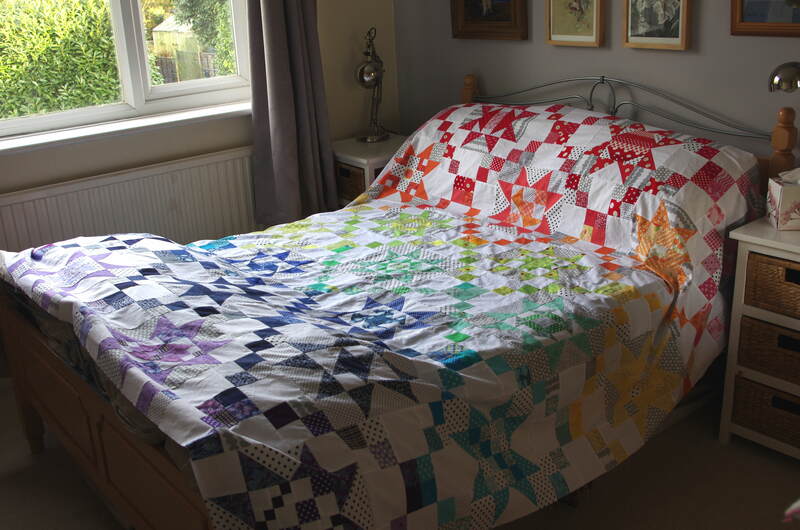 Do you often get your quilting done by the long arm quilter? I have thought about it but never tried. It’s beautiful! Well done on the finish!! 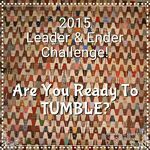 Like me, I bet you have plenty of scraps to use for the 2016 challenge! Awesome quilt top! You go girl!